On Sunday morning, No. 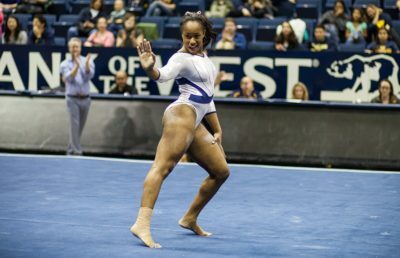 22 Cal women’s gymnastics upset No. 4 Utah in one of the greatest performances in program history. The Bears’ first-ever head-to-head victory over the Utes came with a full team effort but was capped by redshirt senior Toni-Ann Williams’ brilliance. 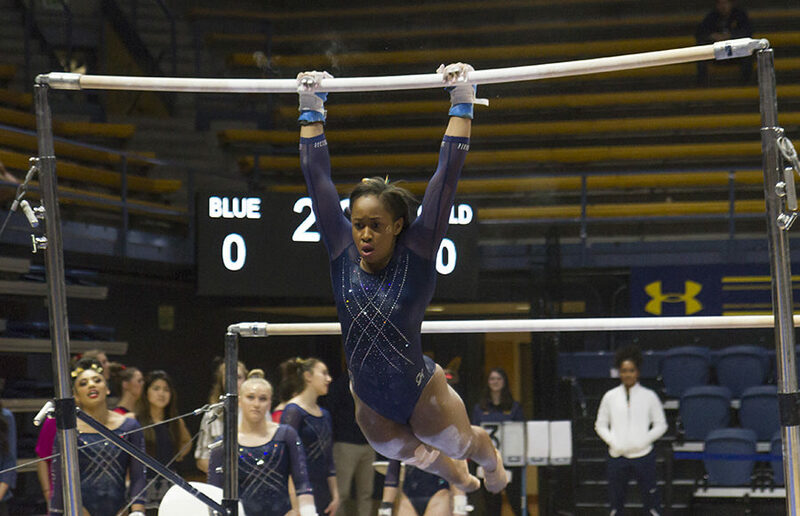 Initially scheduled to compete only in the first three rotations of the meet because of a bruised knee, Williams willed her way into the floor event and finished the contest with a 39.700 — both a career high and a program record — sweeping every event title along the way. On a special day in Haas Pavilion, Williams was certainly not the only Bear who brought the best she had to offer. Freshman Kyana George elevated her career-high all-around score by recording a 39.500 to tie for second place in the meet. Freshmen Nina Schank and Alma Kuc were stars on the bars, each recording a career-high score of 9.925 to tie Williams for that event title. 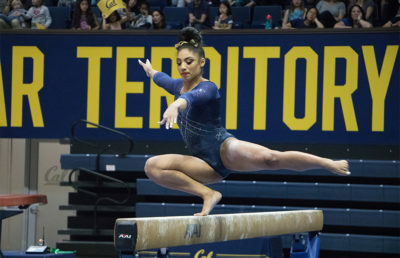 Heading into the final rotation of the night, Cal trailed Utah 148.125 to 147.975. Ultimately, it took Williams’ unexpected and nearly perfect performance and the career-high scores of four of her five teammates on the floor for Cal to overcome its deficit. By the time the final performance was over, every Cal athlete rushed the floor to celebrate a huge milestone in program history. 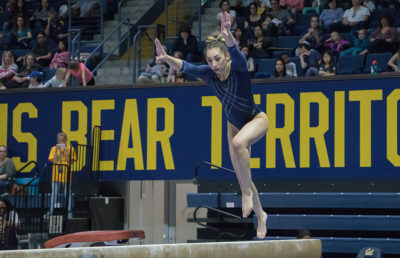 The Bears’ next meet will be held Friday at Haas Pavilion at 7 p.m and will be their final home match of the season. Howell is hopeful that a large crowd will make the atmosphere on senior night similar to how it was in the meet against the Utes.